This page provides answers to some of the common questions asked when changing your Broadband Provider. How do I migrate to another ISP? What is a MAC Key? What is WBC / SMPF LLU / MPF LLU? Which Service Providers are Unbundled? How does Migration using the MAC key work? How much does it cost to migrate? Can I migrate from LLU to WBC? When should Simultaneous Provision be used? Migration is the process of moving between ISPs without actually ceasing your broadband connection and involves a minimum amount of "downtime" whilst the transfer of your adsl service takes place. There is a voluntary code of conduct which is overseen by the regulator OFCOM. ISPs who subscribe to the Code of Practice are listed here. ~ How do I migrate? To migrate to another ISP you need to request a MAC key from your existing Internet Service Provider. According to OFCOM rules, your ISP must pass this on to you within 5 working days. You then simply need to provide your new ISP with your MAC key, when you sign up with them and select which date you wish to migrate on. When contacting your existing ISP its important that you do not mention the word "cancel" as canceling means removing the adsl service from your line, rather than transferring between ISPs. ~ What is a MAC key? The 'Migration Authorisation Code' is a unique number used to identify your adsl connection. MAC keys can only be used once and automatically expire after 30 days. Do not confuse the term MAC key ('Migration Authorisation/Access Code') with MAC address (which is a unique number assigned to say an ethernet card in your computer or other network device). ~ How much down time will there be? The amount of downtime can vary, and will also depend on which type of service you are transferring between, but the following is a guide. These migrations mostly tend to occur remotely in the wee small hours and down time is hardly noticeable as often there is a small time span where you can connect to both ISPs. Very occasionally you may have to be moved to a different DSLAM/MSAN which requires work by a BTo Frames Engineer which will be done during working hours taking 30 mins at the most. Average downtime around 30 mins. Requires BT Frames engineer so done during working hours. Expect some downtime when both the phone line and adsl are out of service. Usually performed during working day although if an ISP has recently gone live at an exchange, then migrations may occur during the evenings. Downtime for PSTN will be minimal but adsl may take longer as some ISPs (Sky) don't tend to place the adsl order until advised the telephone service migration has been completed. ADSL <-> Cable ~ No migration process in place. - Cease and re-provide required. ~ What is WBC / SMPF LLU / MPF LLU/ WLR? When moving between providers the process required differs depending upon the type of service they provision. LLU - Local Loop Unbundling - is where a service provider has installed their own equipment in the exchange. The ISP uses BT Wholesale equipment at the exchange and on the backhaul to supply broadband for their customers. Also includes WBMC. WBC is BTs 21CN network and is gradually replacing IPStream and Datastream. The ISP has installed their own equipment in the exchange to provide broadband services. The Service provider uses their own equipment to supply broadband and telephony services. The Service Supplier offers telephony services but uses BT Wholesale equipment. You pay them direct for your telephone line rental rather than BT. ~ Which service does my ISP provide? This depends on whether your ISP has unbundled your local exchange. You can use the adsl checker to see if your ISP has a presence at your exchange. If they do then they will show up on the right hand side with a green marker. Generally speaking TalkTalk and Sky will be fully unbundled (MPF LLU) and the others will be partially unbundled (SMPF LLU) for broadband only. WLR Offer telephone services but use BT Wholesale's equipment. Broadband ~ Try using the BT Wholesale Performance Test. LLU lines wont be able to complete the "Further Diagnostics" Tests. Telephone ~ Dial 17070. BT Wholesale lines will be offered a list of test options. ~ How does migration using the MAC key work? Once you have given your new ISP your MAC key they then ask BTw/Openreach to transfer your adsl to your new ISP. On the date on which you have chosen to migrate, BTw will then change your ISP details. This action may be carried out remotely or it may require an engineer to carry out work at the exchange, this depends on the type of adsl used by the loosing and gaining ISP. Which BTw based ISP you can connect to depends upon something called SSB (Service Selection Barring). SSB and stage 1 Authentication is carried out at the bRAS, so in effect all BTw do is change on their records which ISP you are allowed to connect to. Sometimes there is a slight overlap where for a couple of days you may be able to connect to both ISPs until the migration has been fully completed. Shared Metallic Path LLU providers have their own DSLAM/MSAN in the exchange for adsl. A BT frames engineer is required to move your adsl connection to a different DSLAM/MSAN. Once the work has been completed BT Openreach should advise the loosing ISP that you have been moved. FMP ISPs include TalkTalk and Tiscali. It does not include ISPs such as Plusnet, BT, IDNet, Vispa etc who may provide telephone services and adsl but still using BTw's equipment. Be, UKO use SMP LLU. Sky use a mix of all depending on your exchange. ~ Can I migrate from LLU to WBC? If you are just moving your broadband from SMPF LLU to WBC then all you need is a MAC key. If you are moving SMPF broadband and WLR telephone then you need a MAC key for your adsl. You should request that your new provider use a 'Parallel Order Process' for both events to occur on the same day, but its not unknown for some ISPs to first move the telephone service and then process the broadband. Transferring telephone and broadband from full LLU to another provider will take some co-ordination and you must request a Simultaneous Provision - see below. ~ What is Simultaneous Provision? Simultaneous Provision is a method used by BT Wholesale to link together a PSTN and broadband order, to reduce both downtime and any lead time for adsl. Simultaneous Provision should be used when moving house or migrating from MPF LLU or Cable. It is not necessary for the WLR provider and WBC provider to be the same, but you must advise both parties that you are requesting a Simultaneous Provision and that the first contact (be it the WLR or WBC provider) obtains a Linked Order Reference Number (LORN) which you must then give to the Service Provider that you contact next. It is vital though that you stress that you are placing a Simultaneous Provide Order - which may also be known as a Linked Order Process. They should also give you a Linked Order Reference Number (LORN) to ensure the two orders are tied together. ~ When should Simultaneous Provision be used? Migration from MPF LLU or Cable (with or without broadband) to PSTN with Broadband. New provision of both PSTN and Broadband services including moving house. In the case of migration from full LLU to WBC broadband, a MAC key may not always be required. 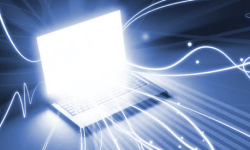 ~ How much does it cost to migrate my broadband? OFCOM's code of Practice states that an ISP should issue a MAC free of charge, nor can they withhold the issue of a MAC key due to funds outstanding. This however does not free you from making payment of any outstanding amounts nor the obligation to pay any fees that may be owing due to you still being within a contract period. SMPF Bulk Migration = £34.13 + VAT. These fees are paid by the gaining ISP, and its up to your new ISP as to whether or not they pass this amount on to you, either up front or deferred in a contract. Several ISPs will pay this fee on your behalf, but if you cancel with your new ISP within a short period of time, you may find that they will claim this fee back from you so check out the T&C's. ~ Are there any other Fees I should know about? Be aware about moving to/from a FMP LLU provider (TalkTalk & Sky), if they take control of your telephone line, then it could also cost to move back to a BT based line rental. Conversion of MPF LLU to a single Wholesale Access line = £70 inc VAT. Tag on the line. ~ This is when you have a marker on your line from a pre-existing adsl connection which hasn't been removed correctly. It is now the responsibility of the gaining ISP to resolve this issue. Slamming ~ When a Telco/ISP takes over your line/connection without consent. TalkTalk was a major culprit of slamming - particularly their "door knocker" type salesmen who try sell you cheaper phone rental, but also move your broadband connection. Tiscali has also earned a poor reputation for telephone slamming - along with its subsidiary Pipex. Guidelines for complaints and disputes can be seen at the OFCOM site here. IPStream - Method of provisioning adsl using BTw equipment at the exchange and BTw backhaul services. This method is used by most of the medium/smaller ISPs and also larger ISPs if they haven't unbundled your exchange. DataStream - Method of provisioning adsl using BTw equipment at the exchange but renting a virtual path with a fixed amount of bandwidth. LLU - Local Loop Unbundling - when the ISP has some of their own equipment in the local exchange. FMPF LLU - Full Metallic Path Facility. The ISP has their own equipment in the exchange for adsl and telephone. (Tiscali + TalkTalk). WBC - Wholesale Broadband Connect. 21CN method of provisioning adsl using BTw equipment at the exchange and backhaul. Eventually this will replace IPStream and Datastream. WLR - Wholesale Line Rental - provisioning of Telephony services using BTw Equipment.